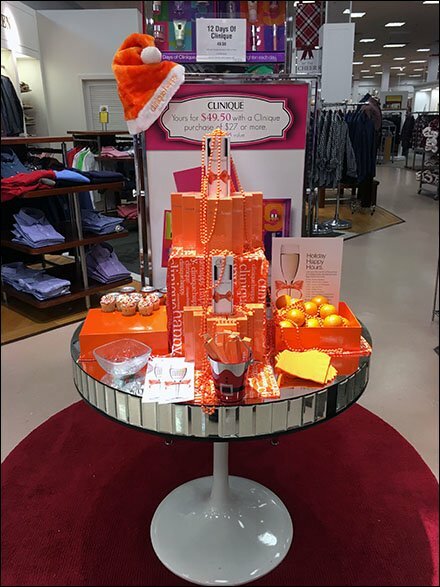 Clinique® continues its Orange merchandising theme with a mirrored table of assorted offerings. An orange Clinique® Happy Elf Cap is hung jauntily to finish off the festivities. CLICK the thumbnail for cap closeup and the gallery to step through island zooms. Follow Clinique Happy Elf Caps immediately below.